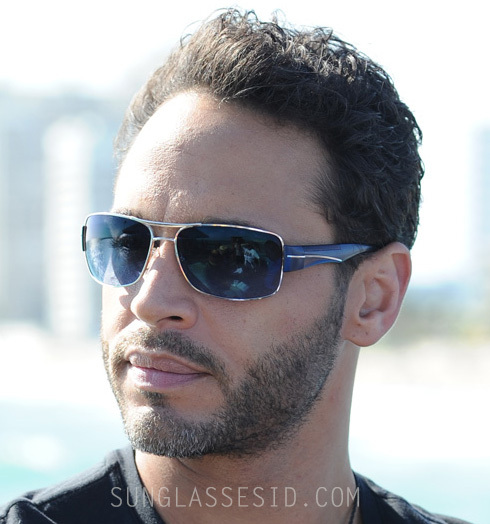 In the television series Graceland, the main character Paul Briggs, played by Daniel Sunjata, wears a pair of blue Prada PS 53NS sunglasses. The red stripe with Prada logo seems to be removed or covered up by the production team. The blue version is almost impossible to find only on eBay. The PS 53NS sunglasses also come in black or white, which are easier to find, for example on Amazon.com, Amazon.co.uk or eBay. In the series, Daniel Sunjata as Paul Briggs wears an Oakley Holeshot® watch.